This category includes jaw and impulse sealers, which uses a short burst of electricity through a heating wire to fuse the opening of a bag. 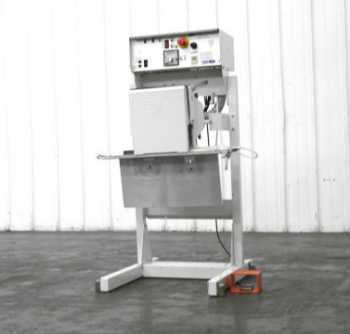 A jaw and impulse sealer can be hand operated, foot pedal operated, or automatic. To operate a hand sealer, a person positions a plastic bag on the bottom jaw, and pushes the upper jaw down against the bottom jaw. A foot pedal operated sealer leaves both hands free to handle the bag, and the foot pedal activates the movement of the upper jaw. The automatic sealer uses a timer to tell the jaws when to close, and a person positions the bag between the jaws before they shut. An automatic can also use a foot pedal. Impulse bag sealers can seal products such as snack food and shredded cheese packages.